The Ruffwear Web Master Pro Harness is a lift-and-assist dog harness designed for use by professional avalanche and Search and Rescue teams. 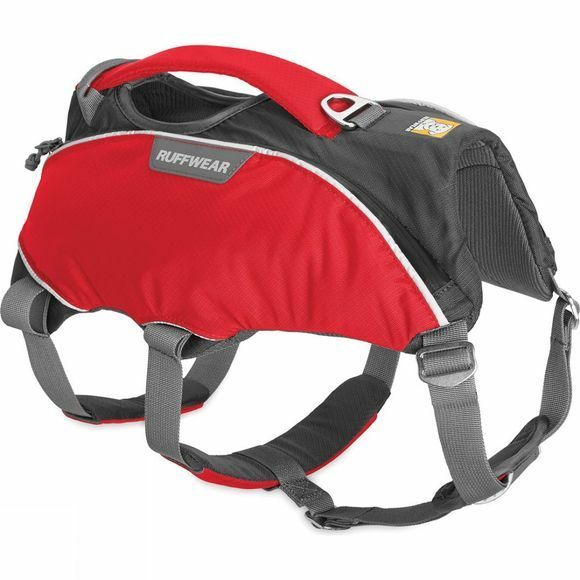 Built on the safe, secure, and proven chassis of Ruffwear's Web Master Harness, the Web Master Pro allows easy assistance and comfortable control of dogs. Two low-profile, zipped pockets have interior stretch-mesh organisers for small essentials. A single-piece, anodized aluminium V-ring up front and a webbing loop at the rear provide two points for leash connection, and the oversized handle is designed for use with gloves, and provides for an easy lift and assist when loading dogs into vehicles, airships, and chairlifts.